Call our Chinese acupuncturist today! Mike Kovach A.P. is a Licensed Acupuncture Physician under the Florida Board of Acupuncture practicing in Pensacola, FL since 1997. He is nationally certified under the N.C.C.A.O.M. Mike is proficient in Chinese internal medicine and the use of acupuncture for pain management. He has obtained specialty training in the treatment of cancer patients from Sloan-Kettering Cancer Center in New York and is certified in Plant Based Nutrition from Cornell University. Mike is a graduate of the Florida Institute of Traditional Chinese Medicine (FITCM), a four-year, graduate level, accredited professional college with an all Chinese faculty. Before graduating from FITCM, Mike completed several thousand hours of internship at various acupuncture clinics in the Tampa, FL area. He has a Bachelor's degree in Engineering and a Master's degree in Mathematics. He holds an international Black Belt in Tai Kwon Do and is an avid Tai Chi practitioner. Mike has always had a scientific mind. He graduated with honors as an engineering student at Florida Institute of Technology and obtained a masters degree in Mathematics from University of West Florida. He prefers taking challenging continuing education courses that will truly help him in the treatment of his patients. He also takes additional medical courses that are not part of his continuing education requirements. This training lends a scientific and medical perspective to way of providing treatment. 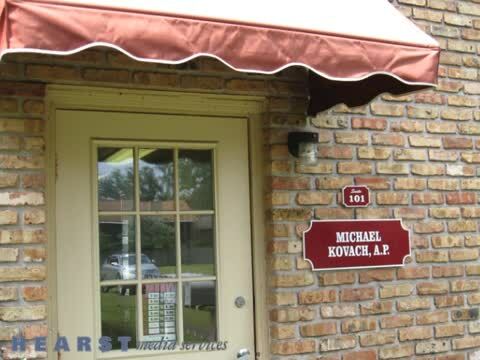 Mike associates with and receives referrals from many medical doctors in the Pensacola area. Currently the cost of treatment is $65 per acupuncture session. The cost of our herbal formulas is from $16 to $20. If you have any questions, please call our acupuncture clinic. Traditional Chinese medicine (TCM) is a thousands-of-years-old practice which originated in ancient China. It treats the body and mind as one with the use of herbal medicines, acupuncture, qigong and tai chi, thereby preventing and treating health problems. Mike’s practice merges this ancient view with modern medical principles. Call our Chinese Acupuncturist today. Start your acupuncture therapy today! Acupuncture therapy works through your nervous system causing your body to heal itself or to restore balance in the way your body functions. One current view of acupuncture is that it accentuates certain feedback mechanisms that alert the nervous system about particular physiological processes. After a certain number of treatments, the nervous system remembers this effect and keeps the body in balance. Almost every state has a licensing board for acupuncturists. In Florida, we are licensed under the Florida Board of Acupuncture which is a part of the Division of Medical Quality Assurance. Like all medical professions, it is a felony to practice acupuncture in Florida without a license. To be a licensed acupuncturist, one has to obtain a bachelors degree and then complete a four year program at an accredited college of acupuncture and Chinese medicine. They must also complete a minimum of 1,000 hours of internship. It is illegal for any other profession to use the title "acupuncturist" without meeting these requirements. What can Traditional Chinese Medicine and Acupuncture treat? Acupuncture therapy is known for being highly effective at relieving the symptoms of most health issues. Please see the complete list of diseases and disorders that can be treated at the bottom of this page. Call us today with any questions or if you are looking for Chinese Acupuncturist in Pensacola, FL area. World Health Organization Report. The following is a small part of an official 81 page World Health Organization (WHO) document. The diseases or disorders for which acupuncture therapy has been tested in controlled clinical trials reported in the recent literature can be classified into the categories as shown below: Diseases, symptoms or conditions for which acupuncture has been proved — through controlled trials — to be an effective treatment: • Adverse reactions to radiotherapy and/or chemotherapy • Allergic rhinitis (including hay fever) • Biliary colic • Depression (including depressive neurosis and depression following stroke) • Dysentery, acute bacillary • Dysmenorrhoea, primary • Epigastralgia, acute (in peptic ulcer, acute and chronic gastritis, and gastrospasm) • Facial pain (including craniomandibular disorders) • Headache • Hypertension, essential • Hypotension, primary • Induction of labour • Knee pain • Leukopenia • Low back pain • Malposition of fetus • Morning sickness • Nausea and vomiting • Neck pain • Pain in dentistry (including dental pain and temporomandibular dysfunction) • Periarthritis of shoulder • Postoperative pain • Renal colic • Rheumatoid arthritis • Sciatica • Sprain • Stroke • Tennis elbow Diseases. Symptoms or conditions for which the therapeutic effect of acupuncture has been shown but for which well controlled studies have yet to be completed: • Abdominal pain (in acute gastroenteritis or due to gastrointestinal spasm) • Acne vulgaris • Alcohol dependence and detoxification • Bell’s palsy • Bronchial asthma • Cancer pain • Cardiac neurosis • Cholecystitis, chronic, with acute exacerbation • Cholelithiasis • Competition stress syndrome • Craniocerebral injury, closed • Diabetes mellitus, non-insulin-dependent • Earache • Epidemic haemorrhagic fever • Epistaxis, simple (without generalized or local disease) • Eye pain due to subconjunctival injection • Female infertility • Facial spasm • Female urethral syndrome • Fibromyalgia and fasciitis • Gastrokinetic disturbance • Gouty arthritis • Hepatitis B virus carrier status • Herpes zoster (human alpha herpesvirus 3) • Hyperlipaemia • Hypo-ovarianism • Insomnia • Labour pain • Lactation, deficiency • Male sexual dysfunction, non-organic • Ménière disease • Neuralgia, post-herpetic • Neurodermatitis • Obesity • Opium, cocaine and heroin dependence • Osteoarthritis • Pain due to endoscopic examination • Pain in thromboangiitis obliterans • Polycystic ovary syndrome (Stein–Leventhal syndrome) • Postextubation in children • Postoperative convalescence • Premenstal syndrome • Prostatitis, chronic • Pruritus • Radicular and pseudoradicular pain syndrome • Raynaud syndrome, primary • Recurrent lower urinary-tract infection • Reflex sympathetic dystrophy • Retention of urine, traumatic • Schizophrenia • Sialism, drug-induced • Sjögren syndrome • Sore throat (including tonsillitis) • Spine pain, acute • Stiff neck • Temporomandibular joint dysfunction • Tietze syndrome • Tobacco dependence • Tourette syndrome • Ulcerative colitis, chronic • Urolithiasis • Vascular dementia • Whooping cough (pertussis). Again, always consult your doctor with any symptoms you may be experiencing. Florida State Oriental Medical Assc.